The practice was originally started by Dr. Cunningham in 1949. Dr. Aceti joined him as an associate in 1979 and purchased it outright in 1981. Dr. Hayes-Sheen joined the practice in 1990 and then Dr. Ambeault joined in 2007. The practice moved to the Station Tower in 2012 and was renamed Station Tower Optometry. Dr. Burns joined in 2015. 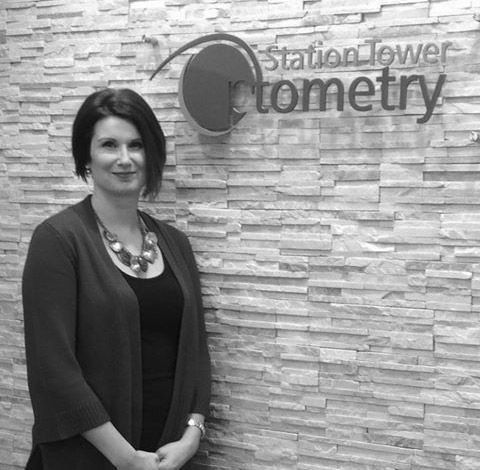 In 2016, Dr. Hayes-Sheen assumed ownership of Station Tower Optometry. Through education and excellence in eye care, we hope to enhance and preserve your visual outlook. Your vision is about so much more than 20/20! Full services are available for patients of all ages, from infants to centenarians. We are members of the Canadian Association of Optometrists, Ontario Association of Optometrists and the Sault Ste. Marie Optometric Association. New patients are welcome at Station Tower Optometry. Contact us today to schedule an appointment. Dr. Peter F. Aceti O.D. 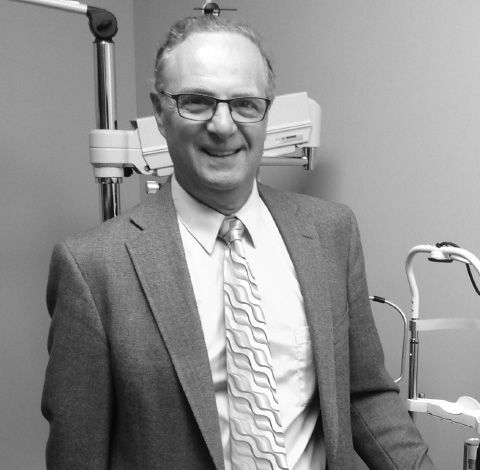 Dr. Aceti graduated from the University of Waterloo, School of Optometry in 1979 and has been caring for patients ever since. He received additional education and qualification for TPA (Therapeutic Pharmaceutical Agents) in 2011. Dr. Aceti provides a full range of optometric services. He and his wife Marilyn have 2 children. Dr. Alison M. Hayes-Sheen O.D., HBSc. Dr. Hayes-Sheen graduated from the University of Waterloo’s School of Optometry in 1990 with a Doctor of Optometry degree and an Honours Bachelor of Science Degree. 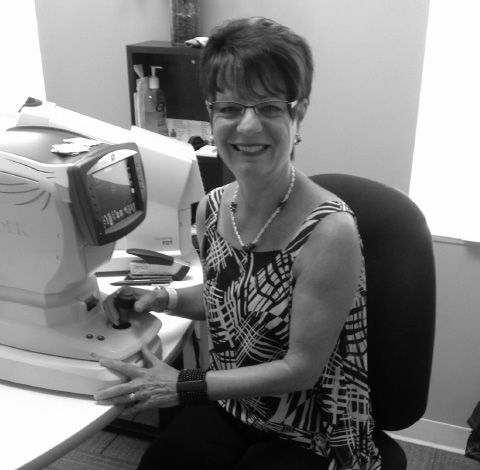 She has been providing optometric services along with Dr. Aceti since that time. 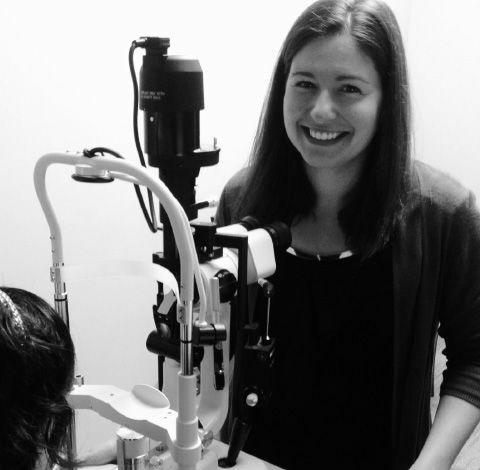 She offers a full range of optometric services to patients of all ages. She and her husband Terry have 2 children. Dr. Megan Ambeault O.D., BSc. Dr. Ambeault graduated from the University of Guelph, ON with a Bachelor of Science Degree. She then attended the Illinois College of Optometry where she received the title of Doctor of Optometry. She joined Drs. Aceti and Hayes-Sheen in 2007. She is originally from Sault Ste. Marie. She provides a full range of optometric services. Her interests include pediatrics, binocular vision and contact lenses. Three daughters keep her and her husband Tom busy when she is not in the office. Dr. Michael Burns O.D., BSc. 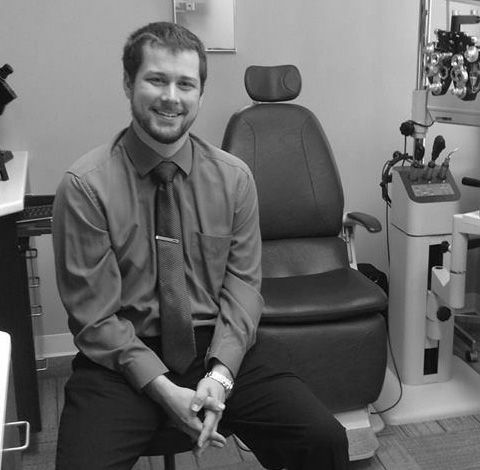 Dr. Michael Burns took advantage of our mentoring program in affiliation with the University of Waterloo School of Optometry & Vision Science and first joined our office as a third-year student. Upon graduation in 2015, Dr. Burns, a native of Sudbury, Ontario, joined our practice and has taken on most of Dr. Timothy King’s patients upon his retirement. He is married to Jami and they have twin daughters and a son. He provides a full range of optometric care and is especially interested in glaucoma, dry eye management and contact lenses. Our well-trained and highly skilled staff includes optometric assistants and an optician. Our dispensary staff has a combined 68 years of experience. Their training and years of experience allows them to answer questions knowledgeably. 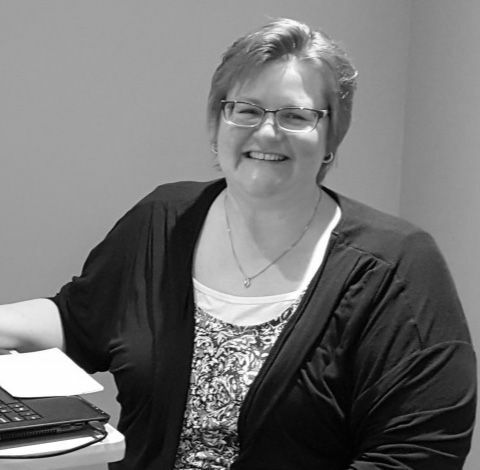 Since 2003, Cathy has been our lead point person in our office administration area. She will help you on the phone or when you arrive at the office. She’ll take care of submitting claims to your insurance company and OHIP and oversees our email communications. 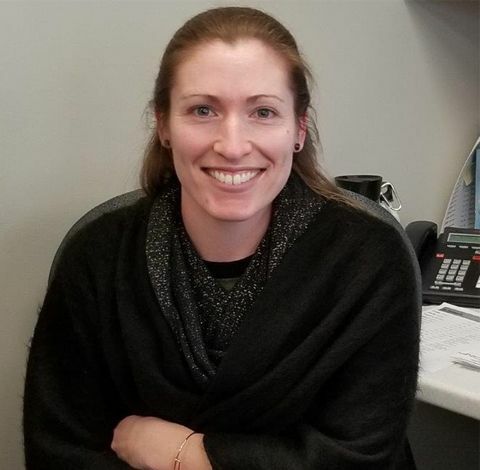 If you have any questions or need to book or change an appointment, please contact her by phone or email her at info@stationtoweroptometry.ca. Mickey's wonderful personality and smile have graced our office since 1999! She is a Certified Optometric Assistant by the Canadian Association of Optometrists and she has trained extensively to work with you in our pretest and visual field room with our Heidelberg Laser Tomographer , our Octopus Visual Field perimeter and our Retinal Scan Duo OCT. She also serves as our Health and Safety representative. Mickey will see you at the front desk and also do specialized testing prior to your exam. 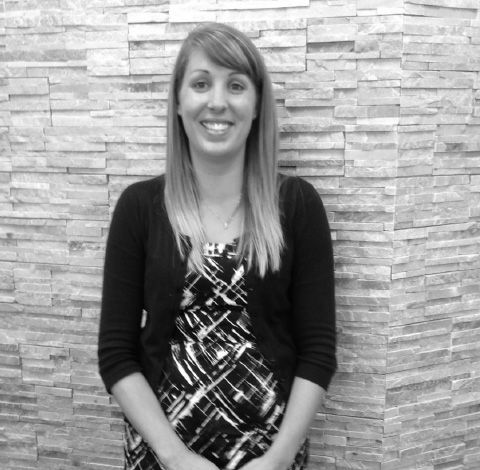 Allyson has been a valued employee since 2009 and she is a Certified Optometric Assistant. She splits her time working at the front desk and in our full service dispensary. She also performs specialized testing in our pre-test exam area. The tests commonly done prior to your visit with our optometrists are Automated Refraction and Keratometry, Automated Visual Fields, Digital Photography and Non-Contact Tonometry. When you refer a friend to us, she'll send you a thank you and a small token of our appreciation! 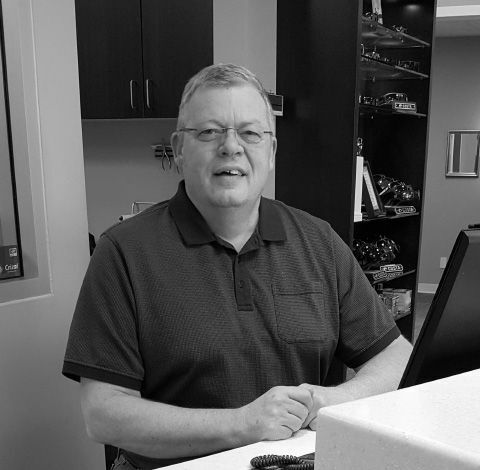 Since 1983 Rob has been helping our patients with all of their eyewear needs. He is a trained Optician. Choosing a stylish frame is merely the beginning. He can help you determine which lens design would be most effective for your daily activities or special vision tasks! He and all our Dispensary Staff are extremely knowledgeable in details relating to which lens materials and coatings would best meet your needs. Ask him about the latest styles in designer frames and sunglasses. 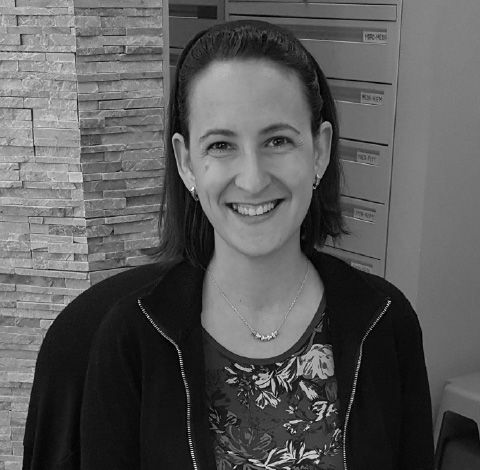 Rochelle brought her previous experience to our team when she joined us in 2016. 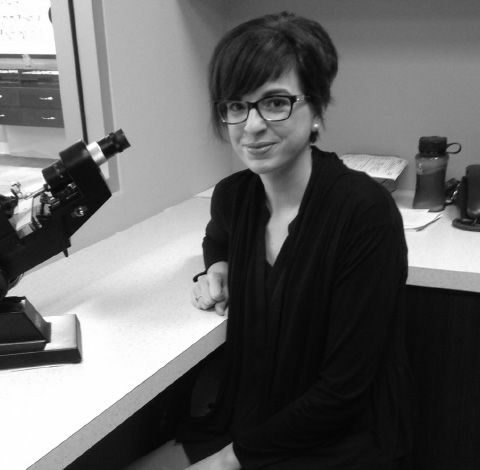 She is a trained and certified Optometric Assistant working in our dispensary and is excellent at assisting you to find the perfect pair of glasses. 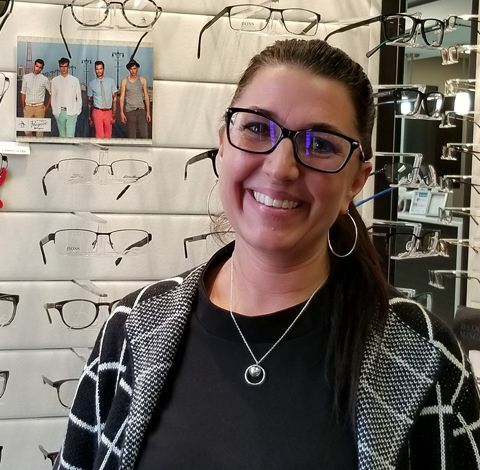 She is your “personal shopper.” She’ll help you find the frame that best suits your needs and prescription and ensure you look fabulous at the same time. She can guide you through the selection process and makes choosing the perfect pair of glasses an easy and painless experience. She’ll answer any questions you may have regarding tints, coatings, promotions, etc. She'll also teach you how to insert and remove contact lenses and is our Facebook promoter. 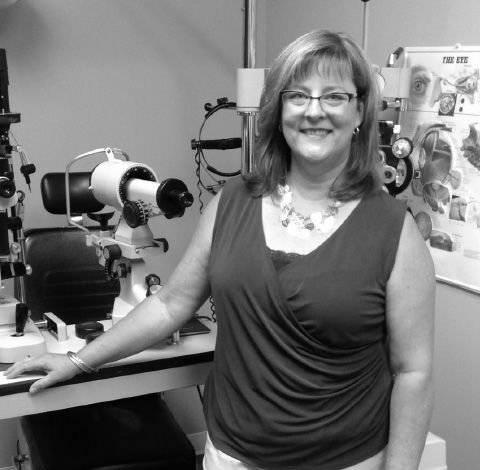 Patti joined our team in 2012 and she earned her Optometric Assistant Certification in 2014. She does it all: meets with Reps, advocates on your behalf, oversees all warranties and promotions and more! She was promoted to Eyewear Manager in 2018. 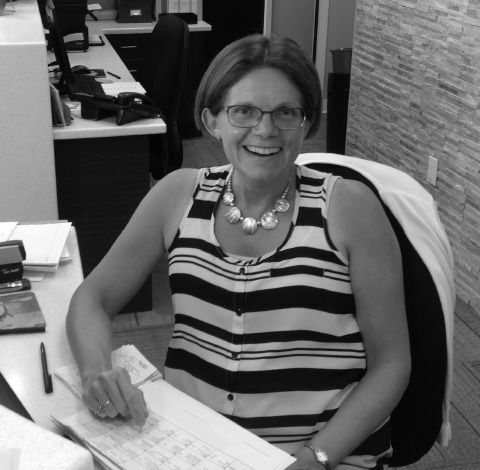 Although she is versatile in most aspects of administration and pre-screening, Patti works full time in our eyewear dispensary. She can help you with your choice of a new frame or with repairs and adjustments to your existing frame. She is also a trained contact lens dispenser. 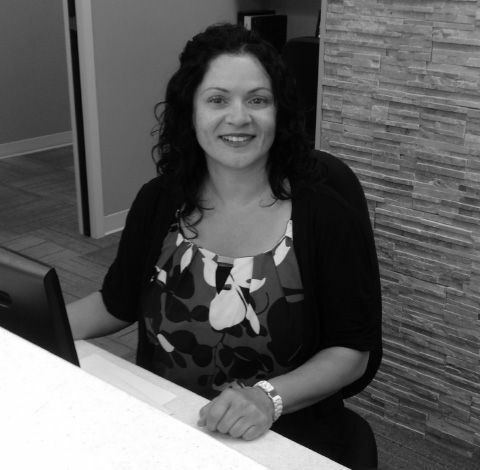 Leona joined our team in 2012 to help in our busy Administration and Reception area. She will chat with you on the telephone or at the front desk to help you with your appointments and answer any questions you have. Leona may also help you prior to your eye examination and will perform computerized testing in order to gather information for the doctors in our pretest area, as well as in our visual field room using our automated Octopus Perimeter and our Retinal Tomographer. See speaks German and would be pleased to facilitate communication with your Optometrist if desired. You will see Loredana working in our administration area. Before your eye examination she will work with you in our pre-test area performing visual fields, automated measurements of the refraction of your eye, intraocular pressure measurements and digital photography, as well as in our visual field room using our automated Octopus Perimeter and our Retinal Tomographer. Loredana speaks Italian and can facilitate communication with your Optometrist or other staff if desired. She has been with us since 2013. Kelly joined us in late 2016. She is working in our administration area, as well as helping out with prescreening patients. She'll be calling you to remind you of your upcoming appointment and she would be happy to assist you in any way, over the phone and in person. Cari works full time in our very busy dispensary. She’ll personally help you find the frame that’s just right for you or teach you how to properly handle and care for your contact lenses. Minor frame adjustments and repairs are handled on the spot. She can make the seemingly difficult task of choosing spectacles into a pleasant and rewarding experience. She can help you choose the tints and coatings that would best serve your needs and submit to your insurance on your behalf. No pressure sales tactics and just the facts from all our eyewear staff. We’re here to help you make informed choices. Ali is presently training to work in both our administration area and in the optical. If you call us there’s a good chance, you’ll have the opportunity to chat with her. She’s quickly become an indispensable member of our team. When you visit our office, she’ll be easy to find... her smile is as bright as her hair is long! Kristen is the newest member of our team. She’ll be working full time in our busy administration area and soon she’ll be able to answer any of your questions. You’re sure to love her pleasant personality. 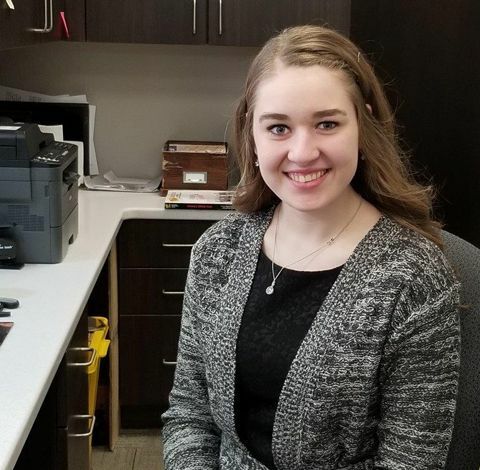 If you would prefer to communicate via sign language, then Kristen will sit in on your exam and facilitate communication between yourself and your Optometrist.